Welcome to A Life Delectable, where we’re all about healthy living that’s also indulgent. You won’t find any dread locks and circle skirts here, or wheat germ and patchouli. These things are fine but they’re part of an old paradigm of health. I believe for vibrant and joyful living that lasts, you need health AND indulgent: delicious AND beautiful; spiritual AND fun-loving; stylish AND sustainable. You don’t have to do endless plates of rice and beans. Here you’ll find burnt sugar ice ‘kreme’ sandwiched between grain free molasses cookies. A fine Italian Aglianico paired with smoky grilled portobellos and a black beluga lentil salad. Authentic, sweaty, transformational yoga with a little ALD flair. Oh, and a little fashion, serious but natural skincare, some candles, flowers and brightly colored dishes to make it a lot of fun. That’s A Life Delectable in my book. Vibrant health. Care for the planet. And savoring every step of the journey. Pull up a chair. It’s going to be delectable. A former singer/dancer/actress, she’s a devoted Ashtangi and reverently rebellious yoga teacher who studied extensively in the United States as well as in Mysore, India with Sri K. Pattabhi Jois and Sharath Jois. 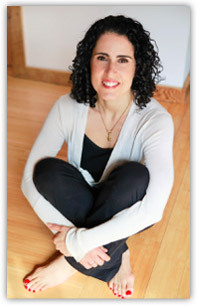 Laura teaches both traditional Ashtanga as well as her own Delectable Blend in workshops, classes, and private lessons in the New York City and Woodstock areas. A background in publishing and editing in both the literary world and the beauty Industry. 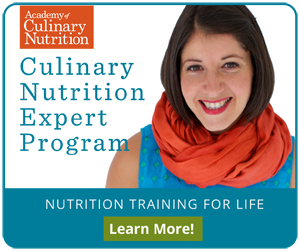 An award-winning chef who has studied with health luminaries like Doris Choi and Natalia Rose to refine her detox and healthy recipe building skills, and a Culinary Nutrition Expert with certification from the Academy of Culinary Nutrition. An advocate for clean and sustainably produced beauty products. A gardener (together with her green thumb husband) who grows much of her own food and who is rumored to be one of the few women on earth who can be gorgeously, comfortably, authentically styled while doing so. Having grown up in the family wine business, with certification in wine and food pairing through Andrea Immer, NYC, Laura is a wine expert who has written for Wine Spectator and Wine Advocate. A Signature Talent is her ability to pair the perfect wine with her own gourmet healthy recipe and to then use this pairing as a vehicle for spiritual growth and healthy living. 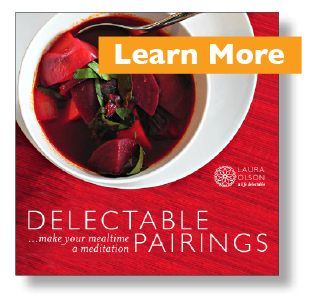 Laura teaches a variety of workshops and classes that offer a delectable path to health, beauty, and happiness while also offering private lessons, health mentoring, and healthy gourmet food and wine consulting for dinner parties and events. Learn more about her offerings Here.